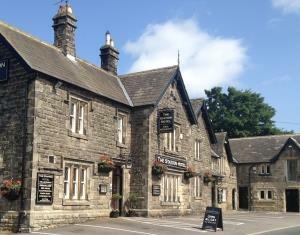 The Station Hotel InnWe are a free house country village inn just 6.5 miles from Harrogate in the beautiful Nidderdale village of Birstwith. Popular with walkers and others who want to experience the spectacular Yorkshire scenery, our location provides excellent access to the Yorkshire Dales, Ripon, Knaresborough and the spa town of Harrogate. We aim to delight our visitors with our first class food, drinks, service and accommodation. Our experienced chefs have justifiably gained a great reputation for delivering consistently good quality food. Our menu changes regularly but will always include the true English pub classics as well as a la carte dishes to tempt every palate, our fish and seafood dishes are particularly popular. Vegetarians are well catered for and we can offer a wide range of gluten free dishes; we are more than happy to assist anyone with specific dietary requirements. We are Cask Marque accredited and serve a range of real ales from many of the excellent local breweries including Black Sheep, Copper Dragon, Daleside, Ilkley, Rudgate, and York Breweries. To compliment these we offer several lagers and ciders in both bottled and draught form as well as the ever popular Guinness. For wine connoisseurs we provide quality wines at reasonable prices and we also have a large selection of spirits, whiskeys and liqueurs. We have 4 fantastic guest bedrooms located on the first floor of the main pub building and a 2 bedroom accessibility suite located on the ground floor in a separate annex to the pub. All the rooms are furnished with traditional oak furniture, comfortable beds and luxury bathrooms. Our rooms include all the comforts you would expect - tea and coffee making facilities, IPod/IPhone docking station/alarm clock, free Internet access and flat screen freesat TV. We offer free on-site parking and breakfast is included in the price of your stay. At the Station Hotel we aim to ensure that all our customers receive the high standard of service which has made us extremely popular with our customers. We want you to be delighted with our service and to tell others. If for any reason you are not happy with the service you receive, or any aspect of your visit with us, then please do let us know. We continually strive to improve and welcome all feedback from our customers. The Coach House has been designed as a family suite / accessibility suite to cater for families or those with accessbility issues or in need of wheelchair use. It is on the ground floor in a separate annex to the pub. •	Travel northbound on the A61 towards Ripon. •	At the roundabout of A61 / A59 take the first exit on to the A59 towards Skipton. •	After 1 mile go straight over at the roundabout (“The Old Spring Well”) following the signs for the A59 Skipton. •	After 0.4 miles turn right on to Chain Bar Lane (signposted Hampsthwaite). •	At the T Junction turn left on to Hollins Lane (signposted Hamspthwaite and Birstwith). •	After 1 mile turn right at the T Junction (“The Joiners Arms”) into Hampsthwaite High Street. •	The road bears round to the left with the village green on the right. •	Continue for 1.6 miles to Birstwith. •	Just after the “Dales Store”, Birstwith’s shop and post office, turn right onto Wreaks Road. •	Proceed down this road for half a mile crossing the River Nidd. The Station is located on your left. •	Travel eastbound on the A59 towards Harrogate, passing the Menwith Hill “Golf Balls” after 16 miles. •	Continue for a further 4 miles on the A59 towards Harrogate. •	Exit Ripon southbound on the A61 signposted to Harrogate. •	After 8 miles, at the Pateley Bridge, Ripley, Harrogate roundabout take the third exit signposted B6165 to Pateley Bridge and Burnt Yates. •	Follow this road for 2 miles to Burnt Yates. •	When “The New Inn” is on your right, turn left at the cross roads up on to Clint Bank. Signposted “Old Station Inn” and Birstwith. •	Follow this road for 1.5 miles. •	The Station will be located on your right hand side. Please see link for up to date timetable. Room, food, staff and location all brilliant.